Being me feels like being a porcelain that’s been put back together. The adhesive is transparent but the cracks are not. It is hollow and empty yet, whole and complete. It may look like a weaker and uglier version of its former self but it is just different. Now it has no aspirations for itself. What is, is. What will be, will be. The crevices are dark and deep. They may not hold water very well but they allow for the connection with the outside to be. The fissures have come about somehow. Who decides where they go and what patterns they form? The fragments still hold together by some unknown force. 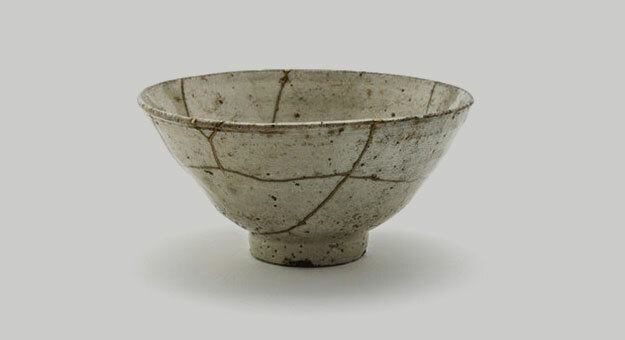 “When the Japanese mend broken objects, they aggrandize the damage by filling the cracks with gold. They believe that when something has suffered damage and has a history, it becomes more beautiful.” – Billie Mobayed. Kintsugi is a Japanese art form especially dedicated to repairing damaged objects in such a way.